The Offshore Technology Conference (OTC) is where energy professionals meet to exchange ideas and opinions to advance scientific and technical knowledge for offshore resources. OTC gives businesses access to leading-edge technical information, the industry’s largest equipment exhibition with more than 95,000 professionals, and valuable new professional contacts. 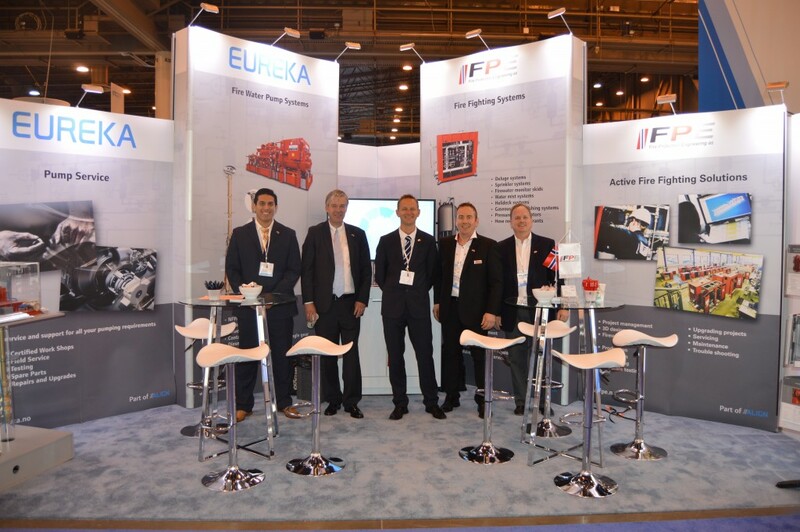 Eureka Pumps Americas and FPE proudly participated in the 2015 annual OTC, jointly exhibiting under Innovation Norway. This year’s attendance was a proven success as both Eureka and FPE gained valuable business contacts and potential leads for upcoming projects. In addition to participating in the OTC, Eureka and FPE held various meetings throughout the week with hopes of generating new business in the future.